Today I am going to share that kind of information about Search Engine Optimization which will clear many doubts about how to make your website search engine friendly. Now the thing is that what all things you would need to have while you are going to analyze website. The most important things are SEO Tools which will clear lots of problem and confusion just in few time. Now the question is that how to choose best seo tools. This is not a difficult task to do because there are numbers of free tools are available on the web. One thing you should keep in your mind always doesn’tpay for any paid tool unless you haven’t used it with your own experience. Most of the paid tools are offering free trial version for few days so first of all you should use it. 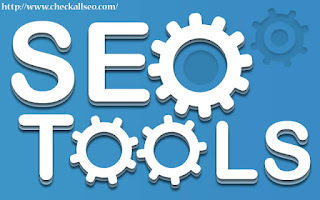 In paid seo tools series cognitive seo tool is the best one which will giving lots of options to analyze complete site. I am using this tool since December 2014 after the few months of update of penguin2.1 which was biggest disaster of SEO industry. Page Speed Insights: This tool will tell you how your website’s pages are performing in Google search engine. This tool will show you results after fetches the url twice once for Mobile user-agent and other for desktop user-agent. Moz Local Listing Score: This is the one of the best tool to how your local business looks online. Keywordtool.io: After enter a single keyword this tool will give you huge list of long tail keywords which is the best idea to rank your website in SERP in less time. Google Analytics: This tool will tell you about the traffic status and bounce rate of your website. Beside that this tool will show the location from where visitors are coming on your site. Google Search Console: This tool will help you about from where your website is getting back links, Indexing status and crawling status of site. There is another benefit of this tool it will indicate you if Google will fix manual penalty on your website. Open Site Explorer: If you would like to know about the all back links of your website then this tool will be work great for you. Beside that if you would like to make your career in online marketing then you should try to follow best seo websites, blogs and authors. Search engine land, Search engine journal, Search engine watch, Search engine roundtable and quicksproutare the good sites to stay with updates of SEO industries. Best SEO Authors: Rand Fishkin, Barry Schwartz and Neil Patel are the good authors of SEO industry. Conclusion: Now there is no mercy and place for black hat SEO’s activity because if by mistake you will do this then you it could be prove harmful for your website. Google has rolled out numbers of algorithms to control web spam, so take out every step after think twice about what you are going to do and why. thoughts prior to writing. I have had a hard time clearing my mind in getting my ideas out there.